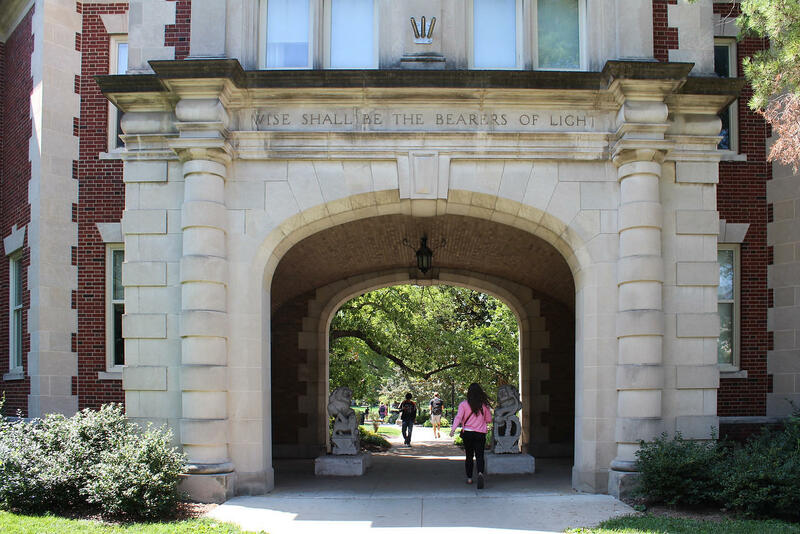 People enter the MU campus through the stone archway at the Missouri School of Journalism. Catey Terry, a spokesperson and volunteer for Moms Demand Action, says college-age students would be put at risk by having guns present on campus. She also said there is no proof that having guns on college campuses makes them any safer. “We strongly do not believe more guns make people safer. If that were true we would be the safest country in the world, and we are not,” Terry said. The original bill would allow campus faculty to be trained as campus safety officers, but an amendment introduced by Rep. Jared Taylor (R-Nixa) goes further. It allows any person with a concealed carry permit to have a firearm on any university in Missouri. Taylor said the University of Kansas began allowing concealed firearms on campus in 2017 and saw a drop in crime. The Kansas City Star reports that KU Public Safety attributed the drop in crime to hiring three additional police officers and three additional security officers, steps the university took to improve campus security after the legalization of concealed carry.